A few months back I created the post and printable 10 Affirmations For Anxiety Sufferers and wrote about how positive thinking, mantras and affirmations were more than just hippy nonsense and can actually contribute hugely to good mental health. 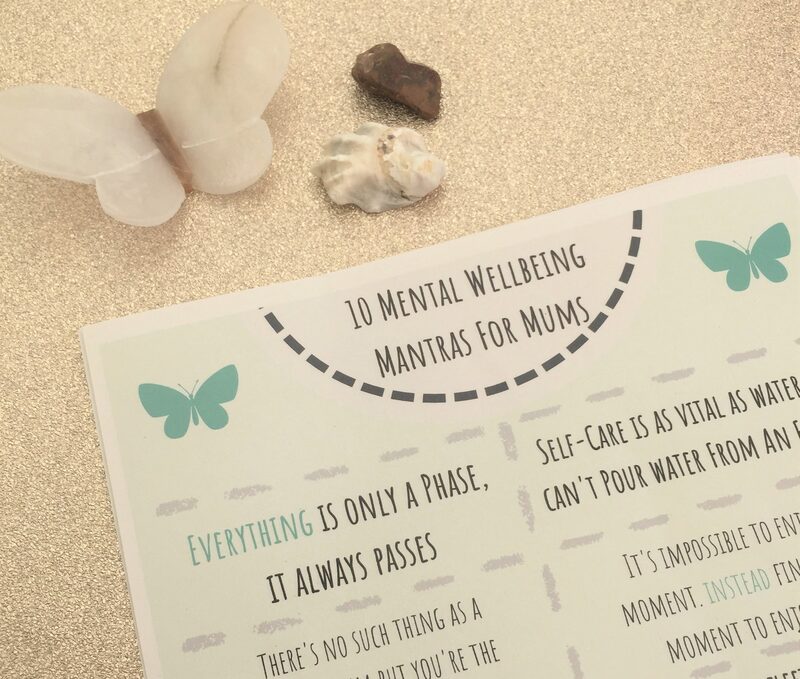 I’m back today with a new printable to help you through the early days of parenthood; here are ten mantras for mums that helped me on a day-to-day basis. A friend said this to me just before Caterpillar was born and it’s been very helpful on many occasions. Baby waking every 2 hours? It’s only a phase. Toddler constantly attempting to climb everything? It’s only a phase. Five year old got a nasty attitude after school? It’s only a phase. Babies and children change so rapidly, especially at the very beginning, but when it’s 2am and you’re at the end of your rope it can be really easy to panic that life will never get easier. I’ve always found the phrase above to bring lots of relief, especially when I was poorly with PND too. Lastly, it’s a great reminder to be present as much as possible too because if the difficult times are a phase then the beautiful times are as well, and should be cherished. I’m not sure I can even bring myself to talk about self-care again as I’m such a broken record but that’s because it’s so important. Want more on this? Read How Do You Self-Care? and 7 Self-Care Ideas For Summer. I wasted so much time focusing on trying to be a perfect mum, or as good a mum as I believed others to be. 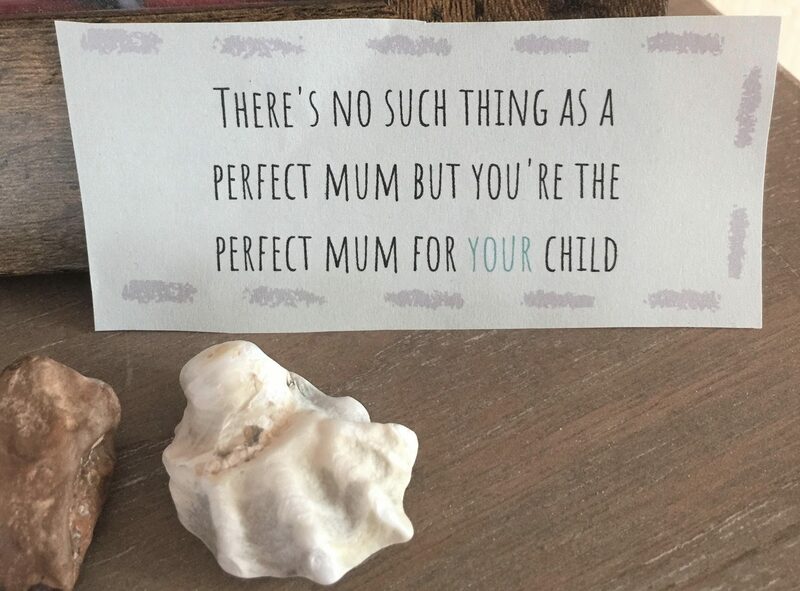 I wish I’d realised way sooner that no parent is perfect; we all have our strengths and our flaws and it’s best to give up perfection and have faith that you’re exactly what your own child needs. My first ever blog post – Moments – discusses the devastation of being told by well-meaning loved ones to “enjoy every moment, it goes so quickly.” When I was so unwell with Anxiety I couldn’t enjoy much of anything hearing these words was a devastating blow. I’ll break it to you right now – you will not enjoy every single moment of being a mum, so try to stop worrying about that. Instead, why not focus on finding at least one small moment of enjoyment in each day – it’s much more valuable to your emotional wellbeing, more realistic and a great way to introduce gratitude journaling. 5. Prioritse yourself & your passions. You’re still you. As new parents, it’s easy to become so engrossed in caring for your little one that you forget to spend time on what you enjoyed before. But I’ve found that either finding time for old hobbies or developing new ones (like this blog!) has been a saving grace for my sanity! Find out more about mums & identity by reading The Mixed Up ID of Modern Mums. During the latter stages of Anxiety recovery I heard that each human emotion lasts less than a minute. Our emotional states are so complex that it’s impossible to fact check this but there’s certainly some truth in that emotions come in waves and we can actually control, to a certain extent, how we react to them. Just like the first mantra above I find a great deal of comfort in knowing that even the most difficult feelings will eventually pass. Find out more about the power of positive thinking here. I can’t take credit for penning this one, of course, but that doesn’t mean it’s not one of the truest things I’ve ever heard about parenting. There’s not much more I can say about it – it’s just staggeringly accurate! See number three! But, seriously, I just don’t think it’s possible to say this too much. 9. Guilt is an utterly useless emotion, throw it away. I first heard this a year or so ago and it really hit home with me. Most emotions serve some kind of purpose – despite my difficult relationship with Anxiety, for example, I can’t dispute that it forms a very important part of the human mind! Guilt however, outside of decent human conscience, is pretty pointless and only serves to make us feel awful about something we could not help or cannot change. Kiss (kick?) it goodbye. 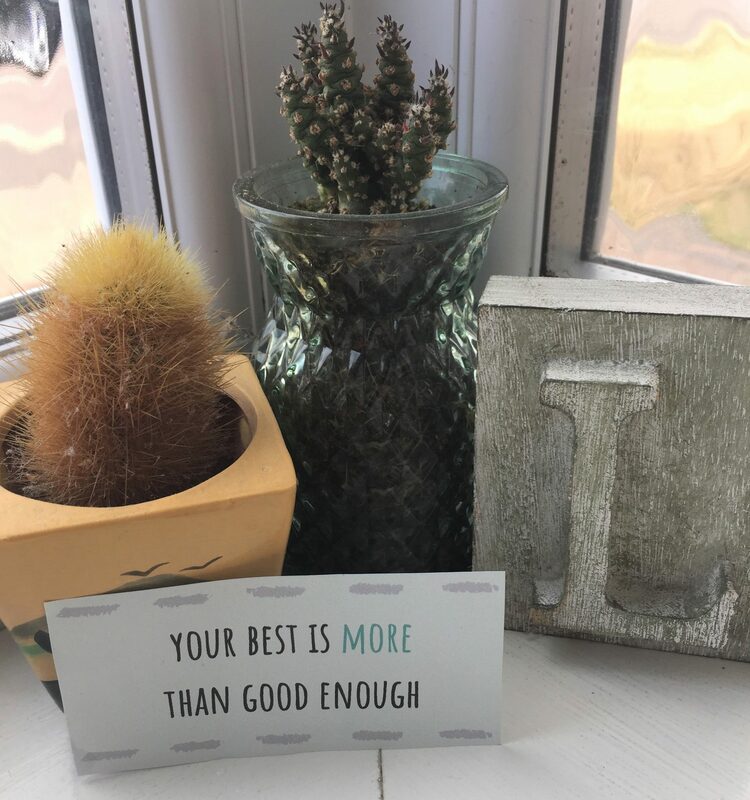 Some of you may follow my fortnightly Facebook Live series – The Good Enough Mum Guide. 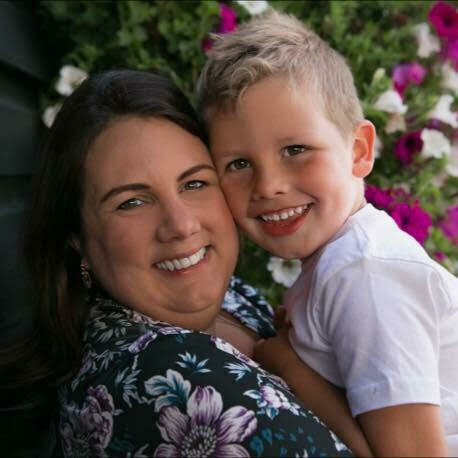 The title came from my slow acceptance that being only a “good enough mum” is still pretty wonderful. I have created a free printable version of all the above affirmations so you can cut them out and stick them around your house as reminders. I did this and found it a really useful tool. Get yours below.